In addition to heading up Z-Man, Jonathan Zucker oversees companies in several other industries. Fishing is a sport of universal appeal, and so often we find corporate leaders and captains of industry enjoying the all-too-rare moments of rod-bending revelry. Most spend the majority of their work week managing budgets, personnel and production issues while fighting off daydreams of their next trip to the lake. But not Jonathan Zucker � he�s found a way to keep one foot in the board room and one on the front deck. And combining the two worlds, he's developed a message he feels can benefit all those with the creativity and initiative to improve their pursuits of finned opponents. As president of the Charleston, S.C.-based and family-owned InterTech Group, Zucker oversees companies in aerospace, specialty chemicals, industrial products, consumer products, entertainment/leisure, real estate, and financial services. He holds computer science and business degrees from Georgia Tech and prior to returning to the family business, he worked in software consulting. 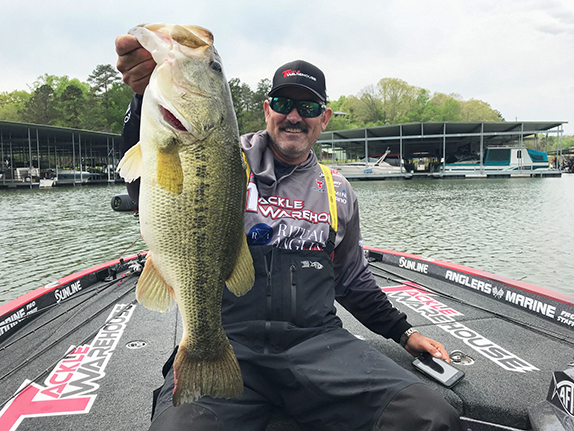 An avid angler, Zucker�s also president of Z-Man Fishing Products, a company that has made a significant impact in its relatively short history. As Zucker points out, Z-Man�s roots trace back more than three decades, while the consumer brand was launched a little under 10 years ago. The back story of Z-Man�s ElazTech material is one of pure light-bulb inspiration. �Z-Man was started on some excess capacity from silicone tapes used to line automotive exhaust systems,� Zucker said. �We had a former bass pro who was a mill operator on the tape machine and he realized he could make silicone skirts out of the material. Zucker�s father, Jerry, was a triple major � physics, chemistry and mathematics � with a master's degree in electrical engineering. With over 350 inventions and patents to his name, the elder Zucker derived much of his success from innovation and, in doing so, established a company with a firm grasp on the concept and implications of intellectual property (IP). 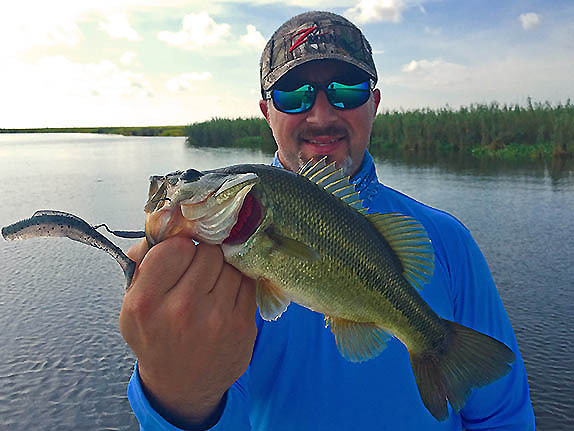 This experience has provided the clarity needed to traverse the fishing tackle industry�s often tumultuous terrain, particularly in the case of Z-Man�s marquis lure � the Original Chatterbait. Greenwood, S.C., anglers Ron Davis Sr. and Ron Davis Jr. invented the bait and fished it with great success, but once they graduated into a commercial venture, they realized the need for greater production capacity. �After some tournament successes, they were having a tough time keeping up with demand and they reached out to us to help with manufacturing,� Zucker said. �We helped them meet that initial surge of demand and then ultimately came to a deal with them to acquire the intellectual property from them. And that�s where Zucker�s deep convictions merit explanation. 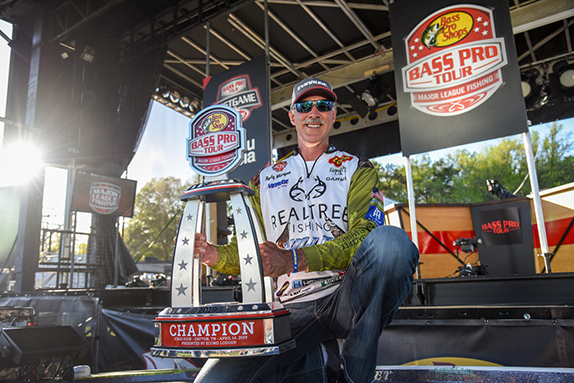 With the Chatterbait�s success came numerous attempts to build similar products. Some bladed jigs are unique enough to avoid patent infringement, but in other cases, Zucker said the issue simply must be addressed with infringing parties. In his view, it�s not only Z-Man�s right to protect its IP, it�s a responsibility. �The whole idea of intellectual property is to incentivize innovation with some idea that you will, for at least some short period of time, have more or less a monopoly on the innovative idea so you can recoup monies invested in that R&D or in the acquisition of ideas and to be commercially viable and, hopefully, profitable from the ideas,� Zucker said. �That�s the whole basis for the patent system and for the trademarks, as well. Noting that intellectual property is a complex topic, Zucker said it�s been Z-Man�s intent to protect its patents and trademarks in a manner that�s heavy on the inspirational and light on the muscle-flexing. �From the outset, after learning a lot about how things historically have worked in the fishing industry, our goal has been to take an opportunity to do the right thing and set an example,� Zucker said. �We took this approach so others could look to us as people who are trying to do the right thing from a point of authority in that we have a considerable background in managing patent portfolios and intellectual property portfolios. Doing so may take multiple forms, from a simple �FYI� conversation to legal enforcement. Zucker said he greatly prefers the former. �The majority of any IP disputes or misunderstandings have been resolved through discussions � business person to business person � without the need for any further action,� he said. �We have gone the legal route only when we�ve had to; it�s a painful process � and an expensive process � and it�s not one that we like. �We don�t do it for litigious reasons, we don�t do it to try and make money � we do it because we think it�s a requirement in order to protect the intellectual property. Well before such measures become necessary, Zucker has found that straightforward explanations of specific IP details are typically well received. Balancing the benefit of the doubt with clearly documented facts makes a convincing case. The goal of Z-Man�s position, Zucker said, is never to squash ambition or limit anyone�s opportunity. In fact, he sees Z-Man�s staunch support for the system through which its IP is protected as a beacon for others navigating these often tempestuous waters. �I�ve had other people in the industry call me and say �Hey, how does (IP defense) work out for you?� �What�s the process?� �How do you recommend going forward to protect our unique idea?�� Zucker said. �I definitely appreciate it when people approach us about this subject. Applying this mindset to the fishing industry comes easy, Zucker said, given the wholesome nature of this family-oriented activity. 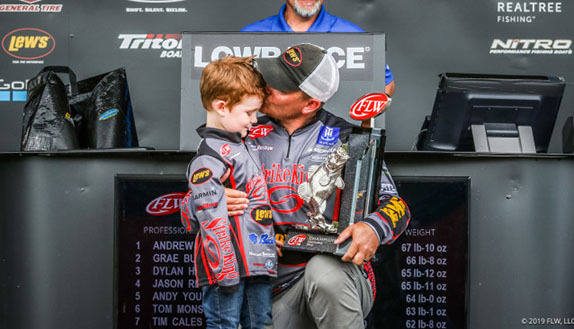 Z-Man supports various kids fishing programs, sponsors high school and college fishing teams and contributes to programs aimed at integrating veterans into the workforce � and taking them fishing.